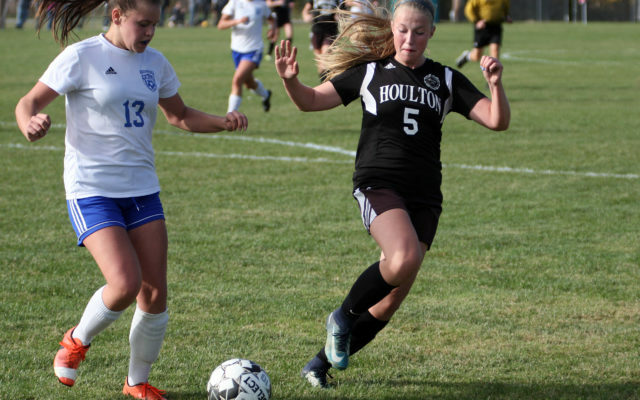 With the postseason drawing ever closer, the Houlton boys and girls soccer teams are enjoying tremendous success in recent contests. 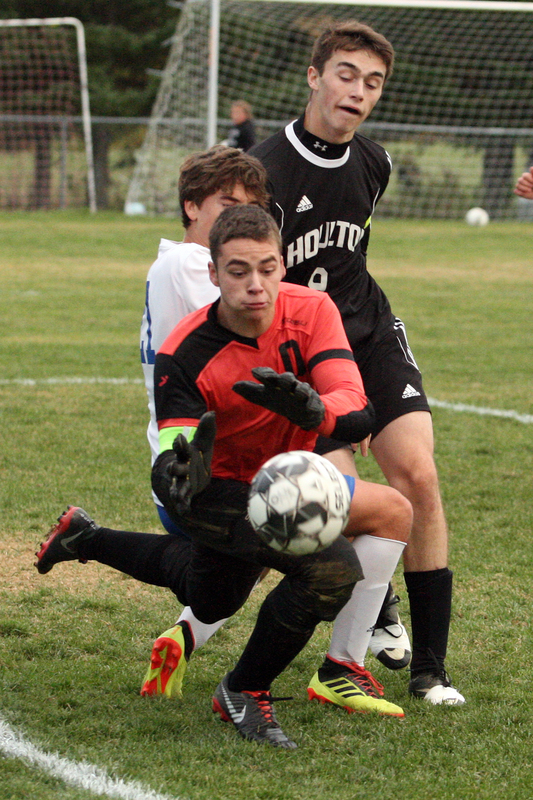 HOULTON, Maine — With the postseason drawing ever closer, the Houlton boys and girls soccer teams are enjoying tremendous success in recent contests. The Houlton girls defeated Madawaska 3-0 Monday evening, while the Shire boys were victorious 3-1. Both victories should help Houlton considerably as they jockey for key playoff positions in the Maine Principals Association Heal Points standings. As of Tuesday morning, the Houlton girls (10-1-1) were ranked second in the Class C North standings, behind first place Dexter (11-0). Close behind the Shires in third place is Fort Kent (6-4-2). The Warriors are the only team to beat Houlton this season. If the Shires can remain the No. 2 seed, Houlton would host playoff games in the quarterfinals and semifinals. During Monday evening’s game, the girls received two goals from freshman Olivia Henderson, while senior Jamie Brown had one as the Shires shut out visiting Madawaska (7-5). Freshman Samantha Johnson had one assist for the Shires. Tessa Solomon had six saves in goal for Houlton, while Madawaska goalie Cassidy Beaulieu made 13 saves. Houlton has received goals from a number of different players this year, making it difficult for teams to focus their defensive energy on just one player. Six different players have tallied five goals thus far on the year, the coach said. 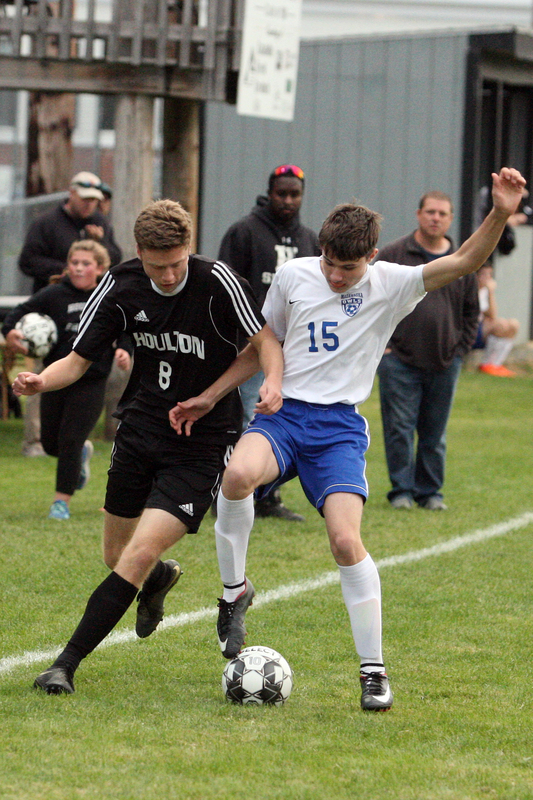 The Houlton boys improved to 8-3-1 on the season with their win over the visiting Owls. Jaron Gentle, Keegan Gentle and Nolan Porter each scored a goal, while Keegan Gentle also assisted on two and Jaron Gentle assisted on one. Tristan Cyr scored the lone goal for Madawaska (7-4-1). Drew Foley had three saves on four shots for the Shires, while Justin Pelletier stopped 12 of 15 shots for the Owls. The Shires are currently ranked third in Class C North behind No. 2 Orono (8-3) and No. 1 Fort Kent. The Houlton boys face Calais on the road Friday before finishing the season Saturday at George Stevens Academy in a makeup game. The Houlton girls also play GSA Saturday, and end the year on the road Tuesday against Calais.